Confession: this recipe was created the other night after I tried to make twice-baked potatoes and totally butchered them when scooping out the insides. So, I improvised. you.are.welcome. First, preheat the oven to 400°. Wash and cook the potatoes. You can do this two ways: the twice-baked way, or the quick-n-easy microwave way. Actually, when I make twice-baked potatoes, I cook them half-way in the microwave, rub olive oil and salt on the skin, and finish them in the oven at 400° for 20 minutes. If you use salt on the skin, don’t add it to the veggies. 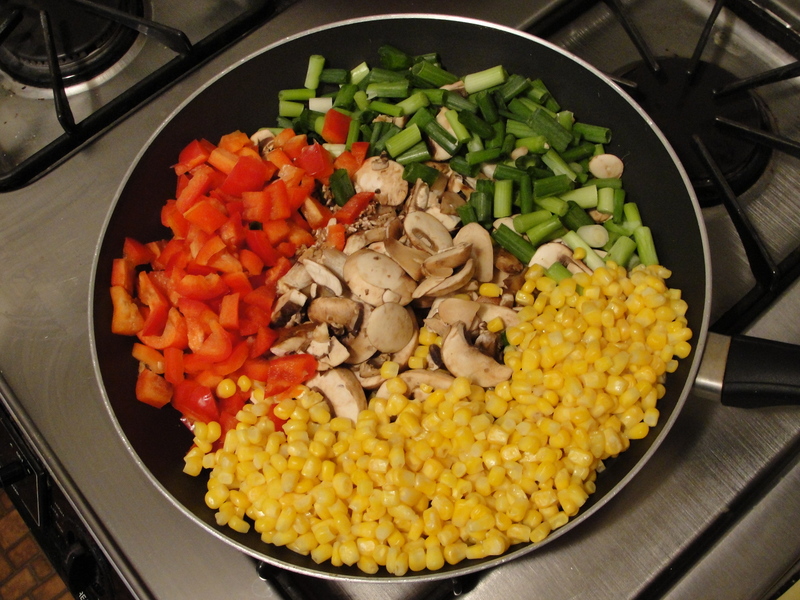 While potatoes are cooking, dice the bell pepper, mushrooms, green onions, and tomatoes. Sauté the mushrooms, bell pepper, green onions and corn with olive oil, poultry herb blend, garlic powder and pepper on medium-high heat for 15 minutes. 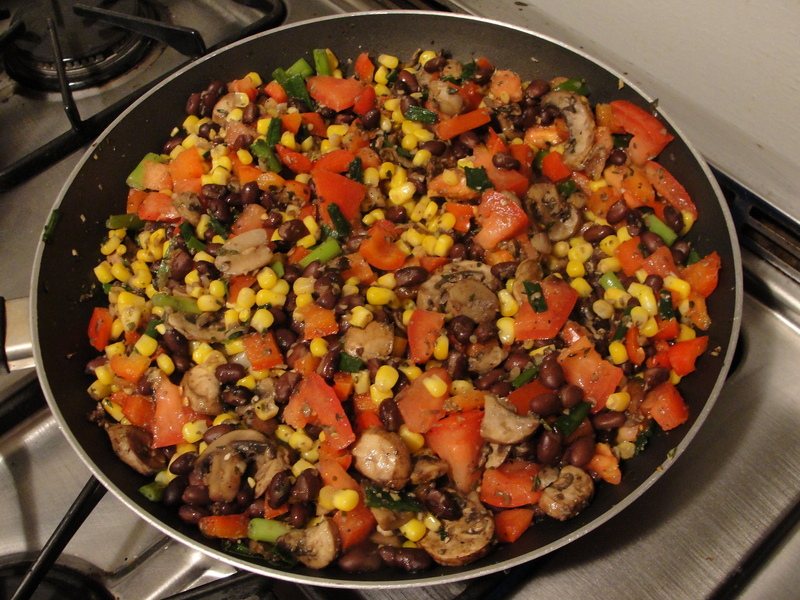 After 15 minutes (or once veggies are soft and most of the water has cooked off, add the tomatoes and black beans. Continue cooking veggies about 5 minutes, or until the tomatoes and black beans are warm. You might kick the heat up for a minute to cook the excess water off (from the tomatoes), but be careful not to burn them. Meanwhile, mash the cooked potatoes (skin and all) in a large bowl with milk and butter until soft (but it’s okay if there are still lumps). 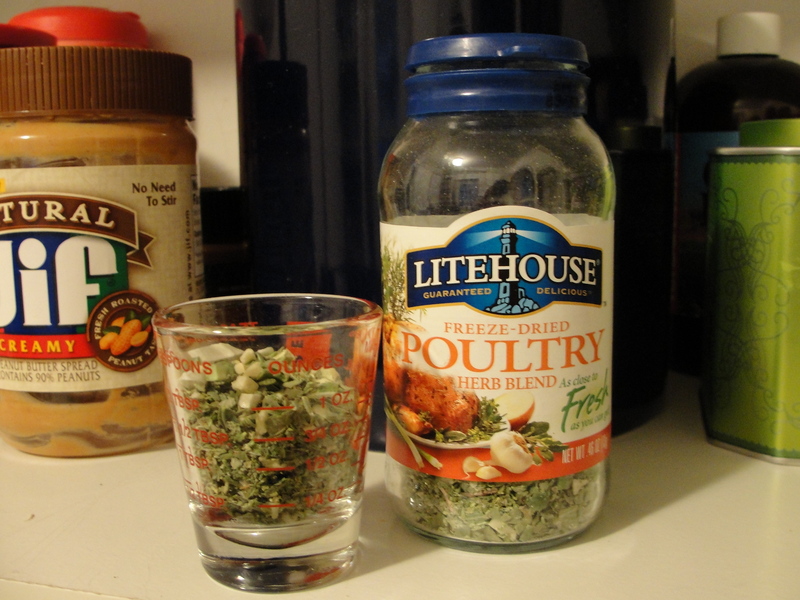 When the veggies are ready, mix them with the potatoes and scoop into a glass pan. 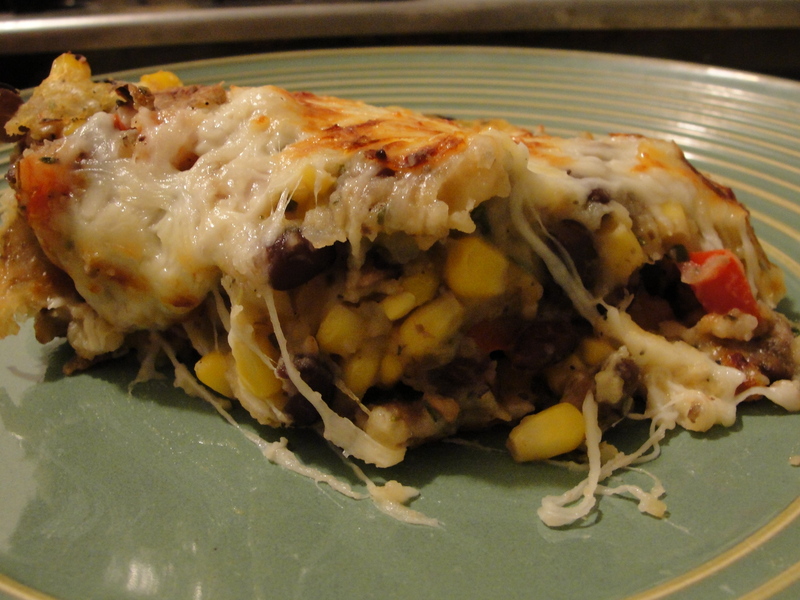 Cover with cheese and bake 10 – 15 minutes at 400°. 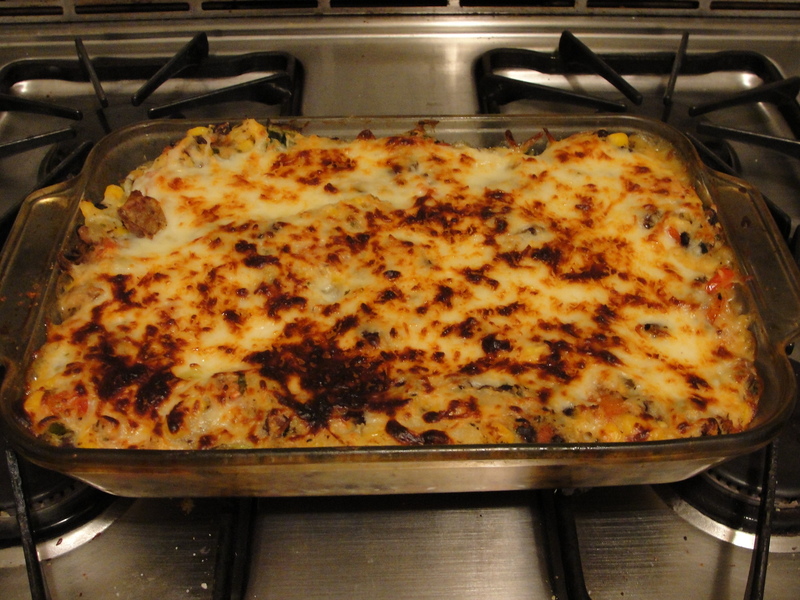 Once the cheese is melted and everything is bubbling, turn the broiler on high for about a minute to brown the cheese. Watch closely so it doesn’t burn! Serve and enjoy. Then go back for seconds!